I’ve been struggling a bit with openzwave items because its so poorly documented. I’ve finally figured out how to get results from a door sensors with the node package node-openzwave-shared. If you follow the install script, then just add this event handler below, you can receive updates. This entry was posted in Programming, Robotics on November 26, 2015 by Scott. 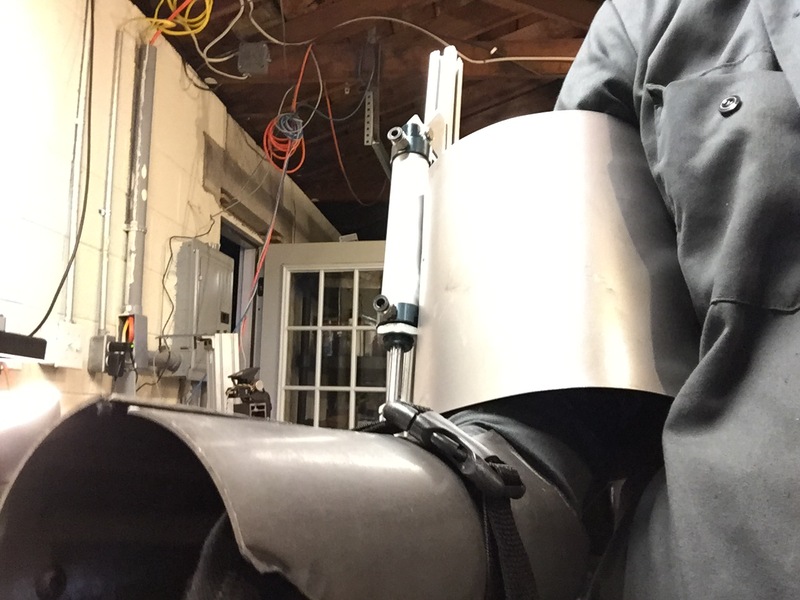 This is a “selfie” of my arm prototype. Finding ergonomics more of a challenge, but that’s why you build it! This entry was posted in CodeMash, Robotics on September 29, 2015 by Scott. I was wondering how RequireJS and AMD worked. So I created this snip. It might not be correct but it worked for me. This entry was posted in Programming on December 17, 2013 by Scott. I decided to create a blog for my chevelle because there was so many things I was learning about it and thought I should help out some other folks working on their car. I’ve researched a lot on YouTub and the internet as well as Chevelles.Com, but making a post there about what I learned just didn’t seem right. To learn more visit: scottschevelle.com. This entry was posted in Ramblings on August 7, 2013 by Scott. I recently had an UPS failure. My UPS and APC 650 ES, has a battery they call for is the RBC17. Which on Amazon.Com is $39.99. However when you peal the sticket off you get Vision UB1290. This battery (which is the same battery) cost around $15.00. I imaging this happens a lot with companies looking to make a cheap buck. Hopefully this post catches someone search on “Alternative APC Battery” or something similar. This entry was posted in Ramblings on July 2, 2013 by Scott. I’ve found out the different things you need to get your calendar alerts to work with Google Calendar. Make sure the alert type is pop-up. Make sure it’s set to 5 minutes, then make sure your iPhone is also set to 5 minutes. This entry was posted in Ramblings on May 17, 2013 by Scott.